If I could live in a painting, I would live in…. What advice have you most appreciated? “What you can do, or dream you can, begin it. Who inspires your work and why? 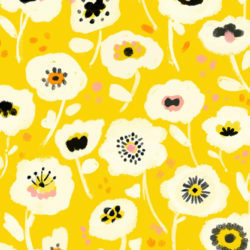 What drew you to Spoonflower? Browsing through Micklyn’s fabric collections is like stepping into a painting in itself! Check out some of our favorites: Mandalas, Flight of Fancy and Abstract Patterns. Love Micklyn’s designs but have no time for sewing? Check out the Roostery blog to see her fabrics as finished goods. 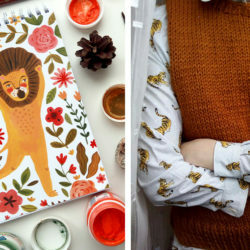 Are you a maker using Spoonflower fabrics? Don’t forget to tag your Instagram photos with #Spoonflower for the chance to be featured on our feed. Beautiful inspiring work. So much talent. I’m a big fan of Micklyn’s work, and all the more awe inspiring with eleven children to raise! 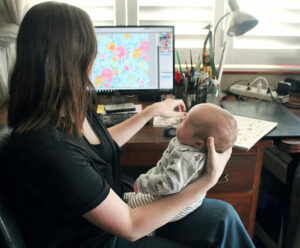 Micklyn – how can you work on all your beautiful design while being a mom to 11 kids and even homeschooling them … ? I have two kids and that is already my limit … Haha 😉 Arthur Rackham is also one of my very favorite illustrators. Wonderful to read a little more about your inspirations and life behind the scenes. 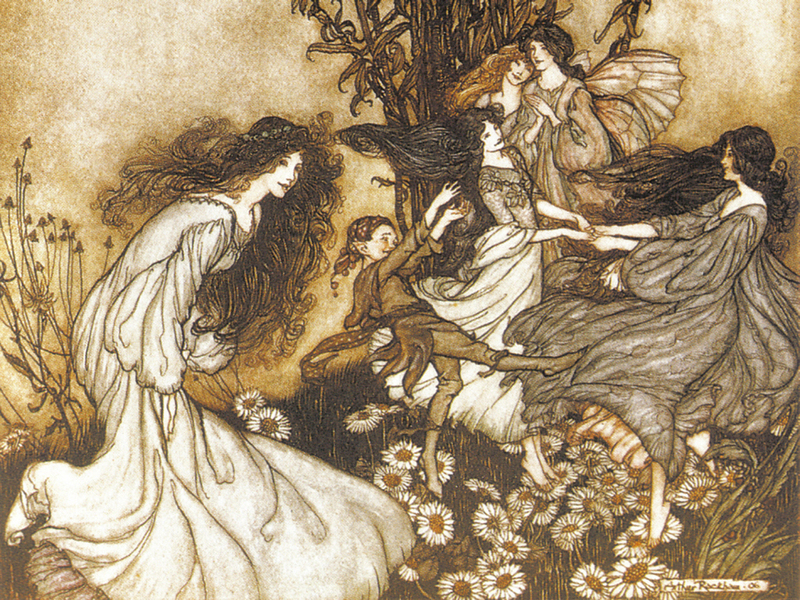 And to see we share a love of Arthur Rackham’s illustrations… I’d live in one of his paintings too!